Shelves. Who doesn't love them? Two great new shelf apps for iPads running iOS 11 have launched recently, and both are worth a look. One is Yoink, which has a long history as a shelf app on the Mac. The other is Gladys, with distinguishes itself by being both super-simple to use, and full of geeky extras. 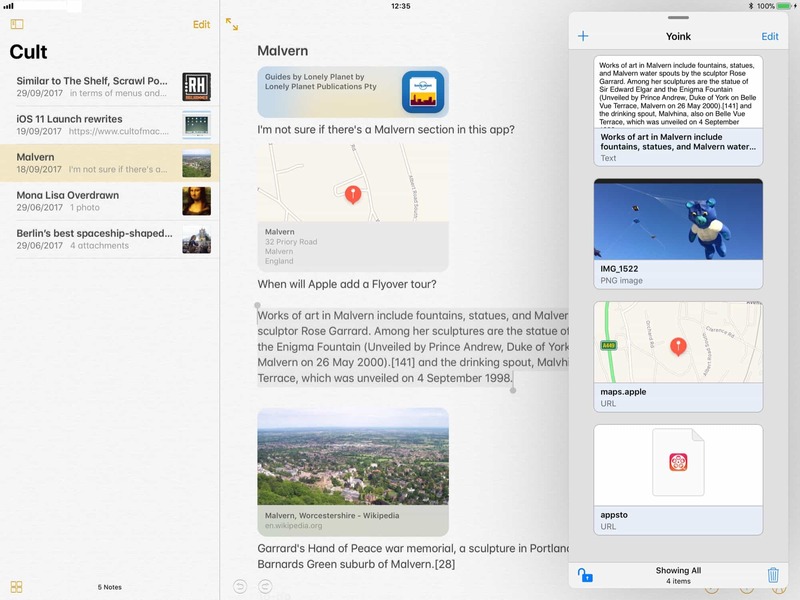 Shelf apps on iOS are like keyboard launcher apps on the Mac. You’re either an all-in zealot, or you don’t see the point — yet. For aficionados, shelf apps provide a great always-available space to temporarily store files, links, emails, snippets of text, and so on. They are a holding spot that means you can drag, before you decide where you’re going to drop. And if you have an oft-used file, you can keep it on the shelf, ready for quick access. The thing that all shelf apps have in common is that they are designed to be kept in iOS 11’s Slide Over spot, so you can just slide the app out from the right side of the iPad screen. They provide a space, much like a Finder window on the Mac, where you can drop almost anything. Then, you can view these files, photos, and snippets, open them in other apps, stack them together, and drag them on to other places. Gladys is well-suited to large collections, with great search. Previews are poor, though. Gladys’s first great feature is its icon. You may hate it, or be indifferent, but it certainly stands out from the rest of the icons in your iPad’s dock. The app itself is also good-looking, in an understated way, with nice thumbnails for stored items. 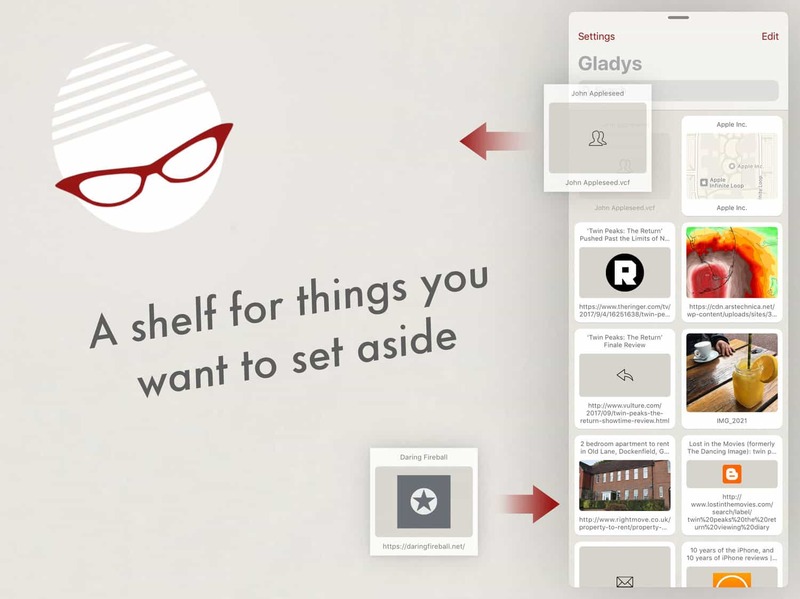 But there are three features that set Gladys apart from other shelf apps. One is that you can drag out files as a ZIP. This turns Gladys into a ZIP app for iOS. You just collect your files and folders, then drag out the little ZIP icon, which will compress them all into a single ZIP file to be dropped wherever you like. The next unique feature is that Gladys works as a Location Provider in the Files app. That is, it put its own folder in the source list in the Files app, right beside Dropbox and others. This lets you quickly get things in and out of Gladys, turning it into a kind of temporary inbox where you can dump stuff. A bit like the desktop on a Mac. The only problem here is that Gladys puts every file inside its own folder, which makes the feature much less useful. And third, you can look inside the binary data of a file. This is a super-niche feature, and one which will be of little interest to pretty much everyone. I’d rather be able to preview a photo than to see its binary data in HEX or ASCII, but there you are. Yoink has a few neat, and unique, features. 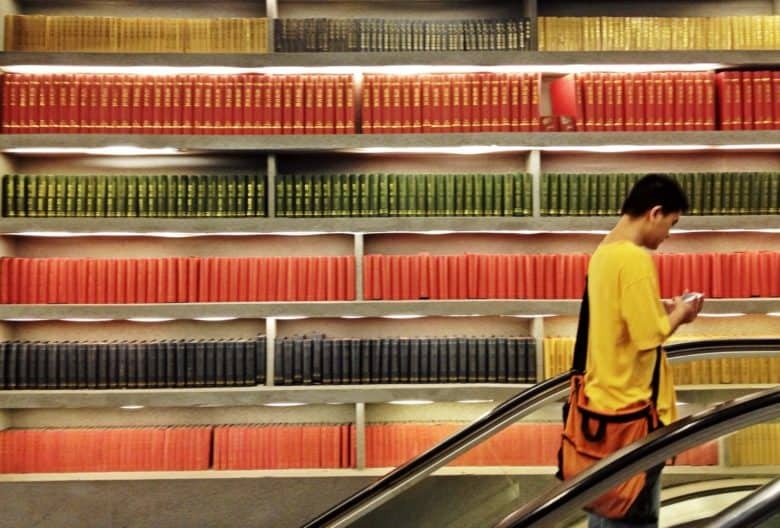 One is stacks. Once you have dragged a few files into Yoink’s shelf, you can gather them together into a stack, which acts a lot like a folder. Tap a stack to expand it and see the files inside. Yoink is very flexible, and has the best previews. The app also lets you lock your files. Normally when you drag a file out of Yoink, it’s gone. If you tap the padlock, though, a copy is left behind. This is useful if you want to use Yoink to store templates of files that you can re-use. You can also rename files, and enjoy way better previews. Tapping a URL, for instance, opens it inside Yoink. A photo can be viewed, and text and notes from the Notes app can be previewed as rich or plain text. You can also tap the little label at the bottom center of the page to filter items into categories (text, URLS, images, and so on), or just show files from today. Yoink also has a keyboard extension, which lets you access it in apps without using Slide Over. This lets you use the app on the iPhone as well as the iPad. Right now, there are lots of shelf apps, all of which seem to have one or two standout features, but none which has everything. That’s a good thing in some ways, because you can pick based on what you need, and not have to deal with all the extra options that you don’t care about. But it is annoying when you find something that’s almost perfect, but is missing one feature found elsewhere. For instance, I prefer Yoink out of all the apps I’ve tested so far, but I wish it could have an option for smaller thumbnails, because right now there’s only room enough for one column when used in Slide Over. The category is clearly still young, and to be honest I haven’t fully gotten into using shelf apps all the time. But I have a feeling that once it clicks, I won’t be able to work without one. Just like a Spotlight, Launchbar, or Alfred on the Mac.